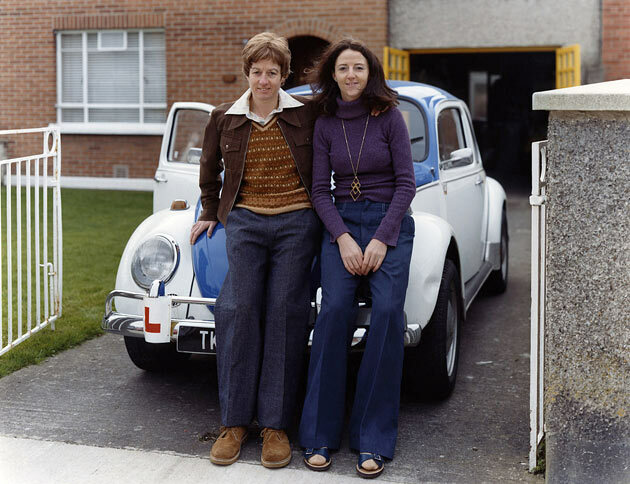 Trish Morrissey was born in Dublin in 1967. Her most well-known body of work is Seven Years, a series in which Morrissey deconstructs traditional family photographs by mimicking them. Focusing on the underlying meanings that oftentimes exist in common domestic snapshots, the work is a collaboration with her older sister- the title, Seven Years, referencing the age gap between them. 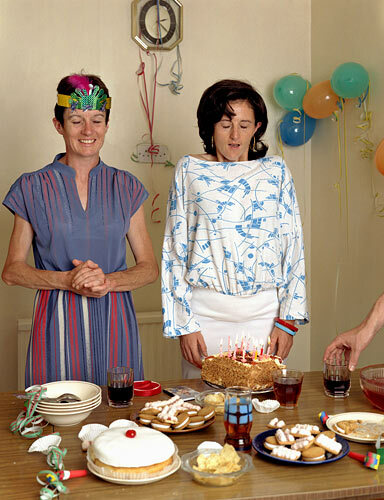 In the series, Morrissey constructs what, upon first glance, appears to be conventional family photographs. The clothing and props reflect the time period she references, and she oftentimes uses items found in her parent’s home and photographs within the environment. The work focuses on the imperfections and unconscious gestures that define family snaps. This entry was posted in Uncategorized and tagged Trish Morrissey by jordieoetken. Bookmark the permalink.